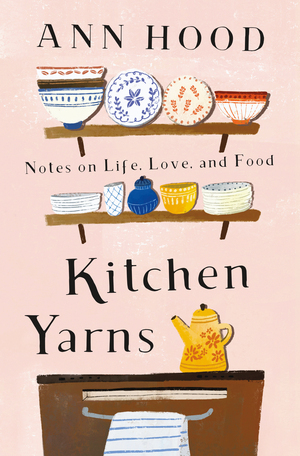 Kitchen Yarns - Description | W. W. Norton & Company Ltd.
From childhood to singledom, raising a family, divorce and marriage to Michael Ruhlman, Ann Hood has long appreciated the power of a good meal. Growing up, she tasted love in her grandmother’s tomato sauce and dreamed of her mother’s Fancy Lady Sandwiches. Hood cooked roast pork to warm her first apartment, found hope in her daughter’s omelette and fell in love—with her husband and his chicken stock. 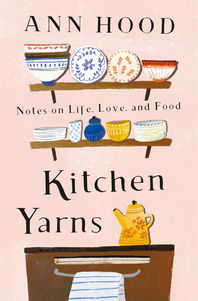 Hood tracks her lifelong journey in the kitchen with twenty-seven essays, each accompanied by a recipe (or a few). In “Carbonara Quest”, searching for the perfect spaghetti helped her cope with lonely nights as a flight attendant. In the award-winning “The Golden Silver Palate”, she recounts the history of her fail-safe dinner party recipe for Chicken Marbella and how it failed her. Hood’s simple, comforting recipes include meatballs, Beef Stew, Fried Chicken, grilled cheese and a peach pie. A memoir about the magic and inspiration of books from a belovedand best-selling author.